The Medicines Use Review (MUR) is a structured review that is undertaken by a pharmacist to help patients to manage their medicines more effectively. The MUR involves the pharmacist reviewing the patient’s USE of their medication, ensuring they understand how their medicines should be used and why they have to take them, identifying any problems and then providing feedback to the prescriber via the NHS MUR form. The patient also receives a copy of this form. An MUR is not usually conducted more than once a year. Improve patients’ understanding of their medicines. Highlight problematic side effects & propose solutions where appropriate. 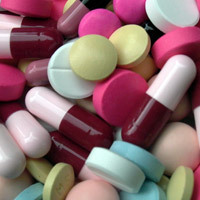 The pharmacist will ask the patient to bring their medication (including purchased medicines) with them to the review. What the patient thinks each medicine is for and when and how they take it. How compliant they are with the prescriber’s instructions. How and when they take medication labelled ‘as required’ or ‘as directed’. Advice on tolerability and perceived side effects. Dealing with practical problems in ordering, obtaining, taking and using medicines. Identification of unwanted medicines, i.e. patient is no longer taking the medicine. The review will be recorded on a national standard form. A copy will be retained in the pharmacy, a copy given to the patient and a copy sent to the GP. There may be action points for all parties dependent on the outcomes of the review, but the majority will be patient orientated. This is an free NHS Service.